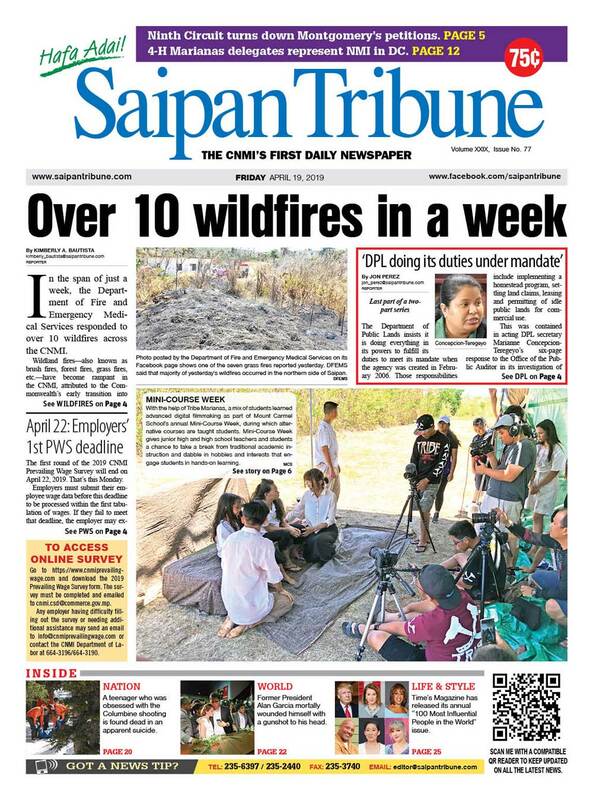 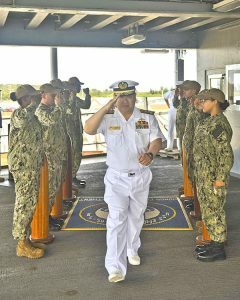 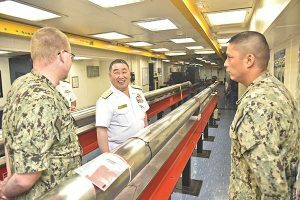 ASAN, Guam—Rear Adm. Shoshana Chatfield, commander of Joint Region Marianas, received Japan Maritime Self-Defense Force Vice Adm. Tatsuhiko Takashima, commander of Fleet Submarine Force, and Rear Adm. Jimmy Pitts, commander of Submarine Group 7 at the JRM headquarters in Asan last April 8. 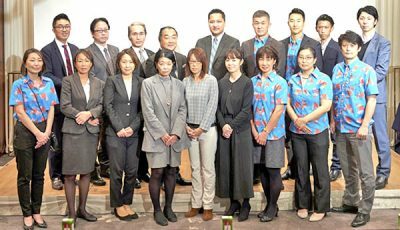 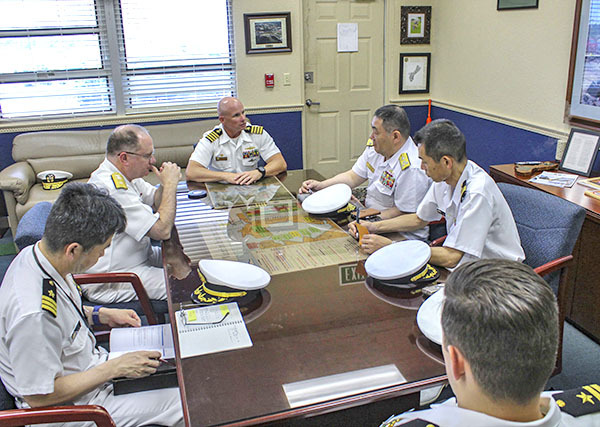 Chatfield, along with other Navy and Marine Corps leadership, briefed Takashima on Department of Defense capabilities progress toward the Marine relocation under the Defense Policy Review Initiative on the island and the strategic maritime importance of the region. 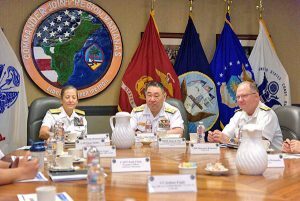 Chatfield also discussed the collaborative efforts of our partners in maintaining peace and stability in the region, and a mutual interest in a rules-based international order where all nations can develop together through free and fair economic activity. 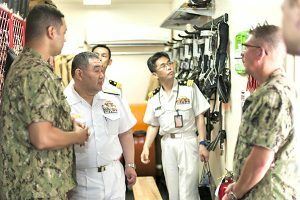 During the visit, Takashima viewed U.S. ships, facilities, and sites on island including ship repair, quality-of-life facilities for submariners and partnership opportunities in the region.